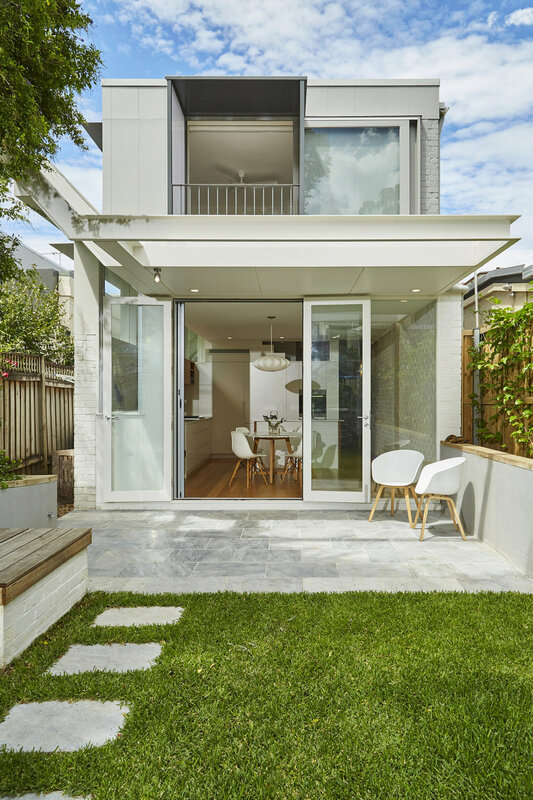 New living areas and shaded glass reconnect the interiors of this cottage in Catherine Street to the newly landscaped garden and outdoor living area of the existing dwelling. 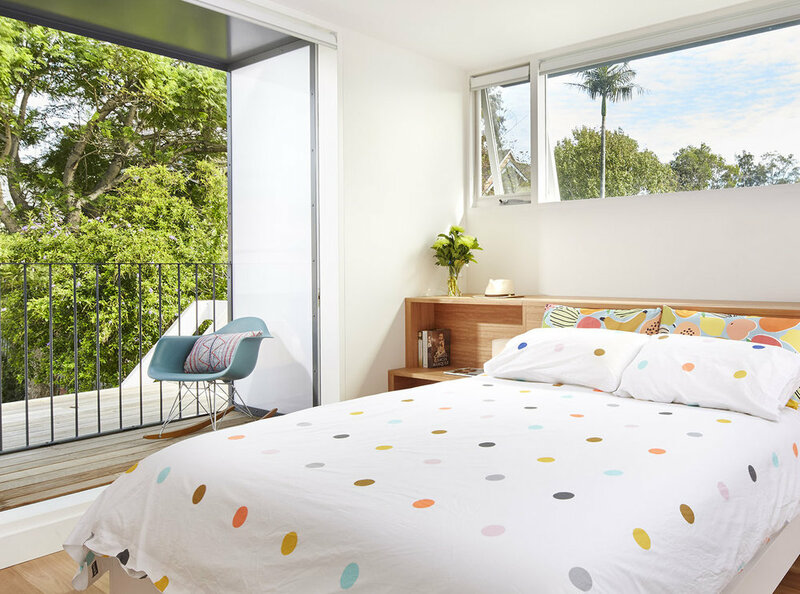 From the first floor a new bedroom, ensuite and sheltered balcony have leafy views to the backyard while retaining the established trees and screening vegetation. 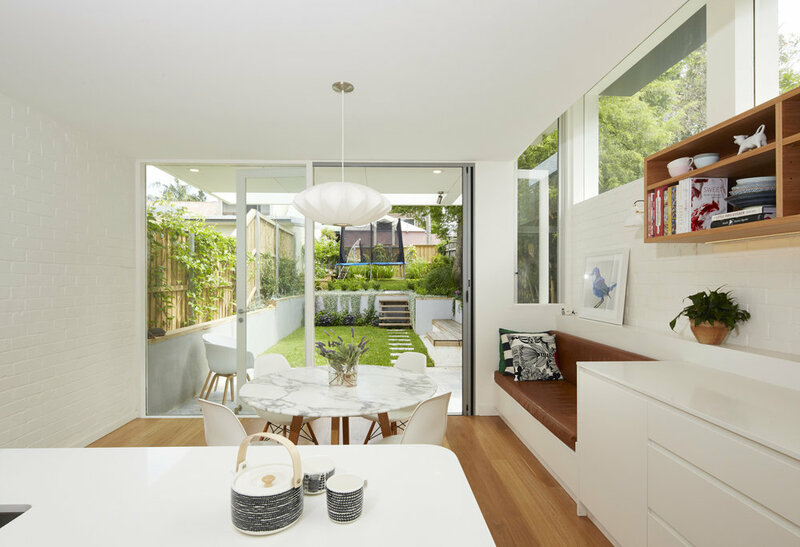 Adapting to the site requirements to admit and retain natural light to neighbouring dwellings, the structural geometry of the new addition lifts to the north, creating a balance of natural light and ventilation throughout. 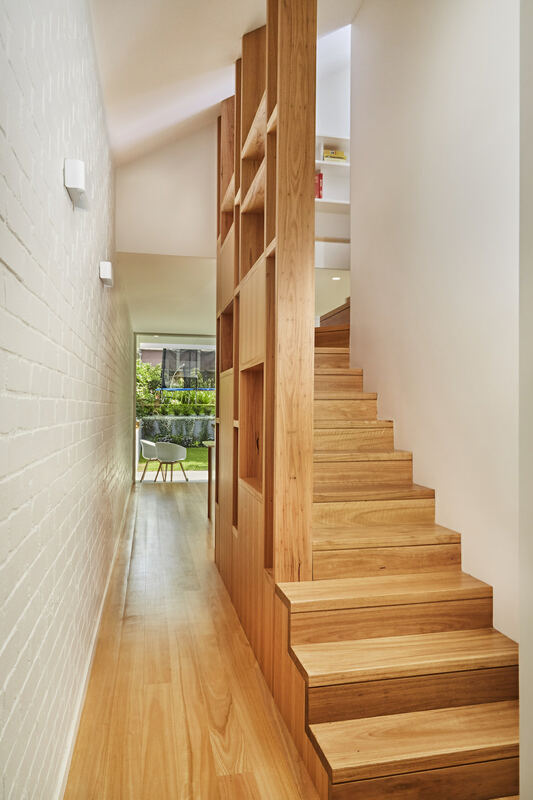 A materials palette of timber floors, steel shade hoods, and painted brick walls brighten and weave together the existing building fabric of the cottage to the contemporary additions.